Sterling Books is a publishing company that carries books on tons of topics for adults and children's books. The children's categories are endless. They have everything from Easy Reader Classics, History, Hobbies, Magic Tricks and even have IQ tests. We were lucky enough to receive a few books from the Begin Smart Books category to review. They are beginning books for "smart" babies, these books teach them things they learn as they start life. When you are browsing the web site when you click on a book it gives you all important information any parent would like to see. It tells you the material of the book, the number of pages and the age range of the book among other things. I thought it was a great way to shop because when I was looking for a target age range the fact that it said twelve to eighteen months let me know that was exactly what I was looking for. First we read the book Begin Smart All Gone, ages 12-18 months. 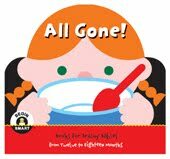 All Gone is a simple book that displays first food words like juice and cookie, the pages are chunky and perfect for little hands. Then we read Begin Smart What Does Baby Say?, ages 12-18 months. 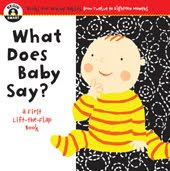 What Does Baby Say is a first lift-the-flap book with questions and simple one word answers that helps a child to learn about the art of conversation. Baby L loved the lift-the-flap style book and kept wanting to read it over and over again. Last we read Begin Smart Splish-Splash , again ages 12-18 months. 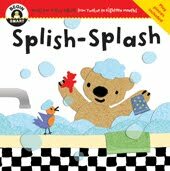 Splish-Splash is a rhyming story about a teddy bear as he does all of the steps it takes to take a bath all the way to bed time. Baby L loves bath time or any type of water play so this was a great story for him. I love to read stories that rhyme and also loved that the Mama Bear was there to help the whole story, just like me. All the books were great, but Splish-Splash one was by far our favorite. 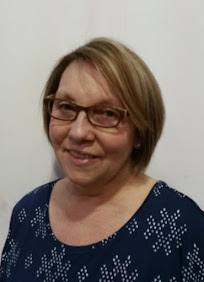 Sterling Publishing offers so many more books with so many categories to choose from, I definitely recommend checking out the web site to see what they have. You will not be disappointed! Win the same Being Smart Books I was sent for your own book collection. Visit Sterling Books and tell me what other kids book you would love to have? *Limited to US residents; 18 years old and above. Giveaway starts June 4, 2011 and ends on June 24, 2011 at midnight PST. Winner will be emailed and has 48 hours to respond before another winner is selected. I was not paid for this giveaway or post. I was provided for free the books for this review. The opinions are 100% mine and may vary from others. I would like that Bob Dylan book about animals. I follow FFC via GFC. I entered the Earth Monkeys giveaway also. I shared this giveaway on fb. I like FFT on fb. 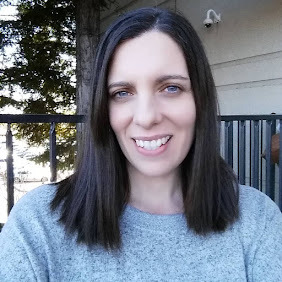 I entered the organicville giveaway. I entered the saskwatch books giveaway. I follow sterling books on twitter. I follow FFT on twitter. The board book about animals. The 10 Little Sock Monkey book looks adorable! Oh for sure God gave names to all the animals!